I decided to do something different. 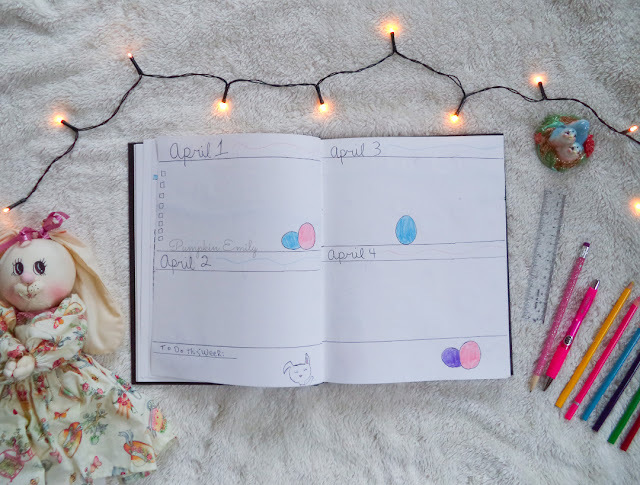 I decided to show you my bullet journal setup for the month of April of 2018. 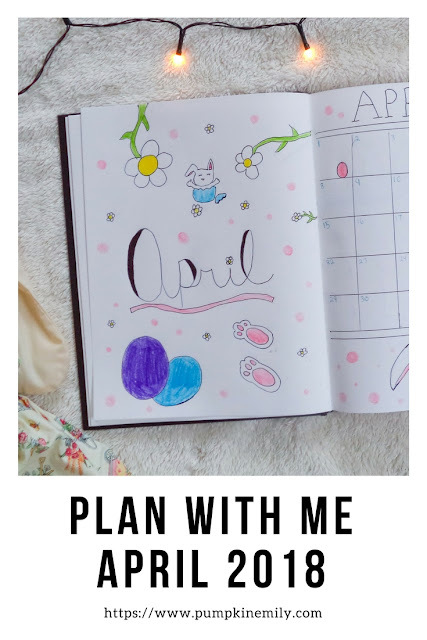 I wanted to do a plan with me video and blog post for a while now because I enjoy doing bullet journal pages. 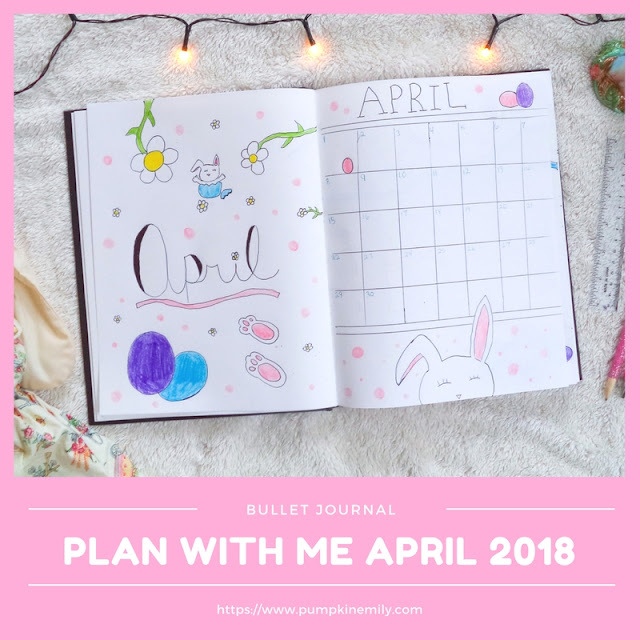 I will also be starting to do bullet journal plan with me blog posts and videos at the end of each month with different themes. For this month I wanted to a Easter inspired themes with bunnies, flowers, and eggs. So I already drew out the whole layout in pencil and then I just needed to outline it pen. The ink form the pen I used decided to put more ink out than it was supposed to so it started to smear which was so annoying since I also needed to erase everything and the ink would not dry so the ink smeared all over the page. After I outlined everything I colored everything in with colored pencils. 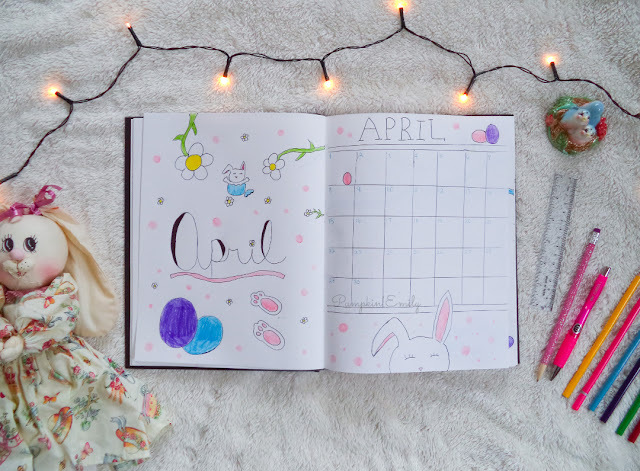 The cover page has rabbit feet, flowers, pink polka dots all over the page, the word April with a line under it, and a bunny in a egg. The calendar page has bunny on the bottom of the page, polka dots, and more eggs. I did put polka dots on the other pages too besides the weekly pages. 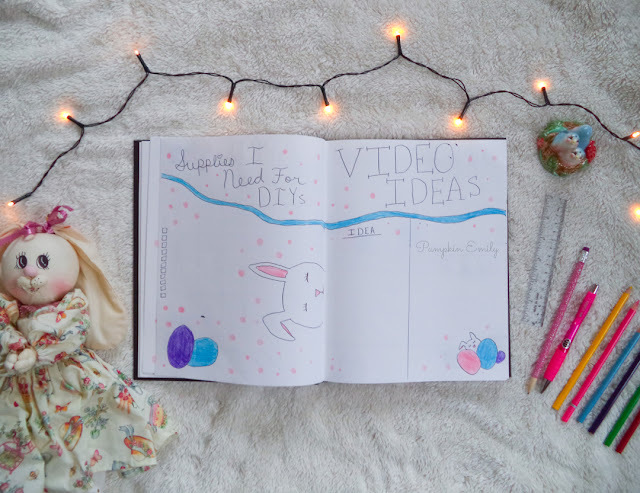 For these next pages I put a page for the supplies I need for my DIYs and on the right is the video ideas. For the video idea page, I put two columns. The left column is for the video idea and on the right is for what I will need for the video. Here's the workout plan layout. 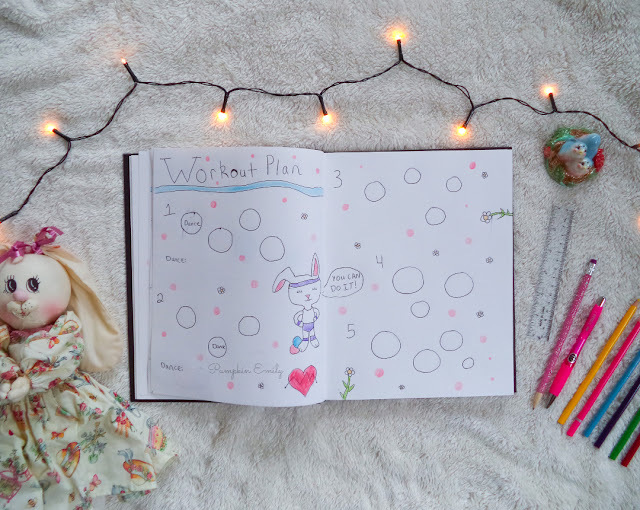 I'll color in the circles when I finish a workout and I drew a bunny that can motivate me to workout. I love how these pages turned out! What you think about this layout and what theme should be next?